Shameless plug: For The Birds! I can't believe I haven't mentioned this before! 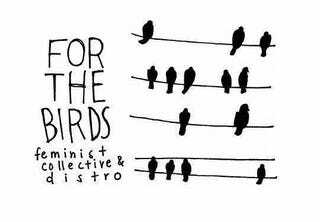 For the Birds is the NYC based feminist collective/zine distro that I helped create. WE ARE AWESOME. Please follow us - especially if you are in NYC as we often talk about feminist events that we are running/participating in!